Instead of taking over the stove in the kitchen, keep your home brew setup safely out of the way with this Camp Chef Maximum Output Cooker from MoreBeer! 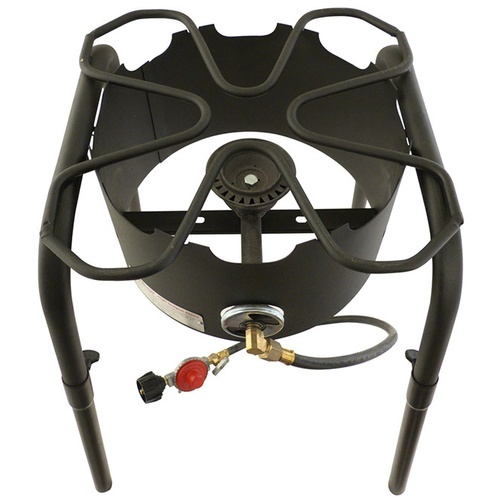 This propane burner is built with a sturdy, reliable base that can handle the weight of your boiling wort, with the strength to support up to 20 gallons of liquid. 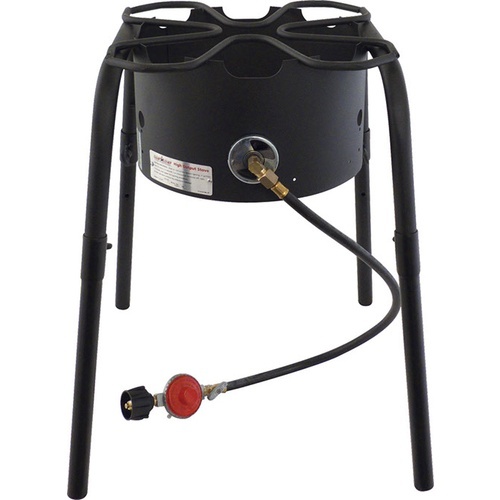 Its elevated height makes it easy to drain the wort into a carboy, bucket or other vessel underneath, and its leg extenders enable you to raise the burner up to 22 inches off the ground. The Camp Chef Burner even comes with a high-pressure regulator that helps you to control the flame under any kettle from MoreBeer! Included leg extensions raise burner to a height of 22", easily allowing for gravity-fed transfer of liquid from kettle to fermenter. Sturdy design works perfectly with any of our kettles or a converted keg. An included high-pressure regulator allows for great flame control. Turn it all the way up to heat water fast and then turn it down to maintain a rolling boil. This is a key feature of this burner. You will need to supply a barbecue style propane tank. Burner has 60K btu rating. My friend told me to do so. We wanted a more efficient and easier way to home-brew! Cannot wait for the hubby to open this on Christmas; he'll LOVE IT! good reviews. friend has a similar model and it works great. Can this be converted to natural gas? BEST ANSWER: No conversion is needed, it will burn it. But nat gas does not burn as hot as propane. Just be sure you have an in-line shutoff in the nat gas line prior to the regulator. Quickly reached 170 degrees in about 20 minutes on a cold 20 degree day. Keeps the kettle off the stove!! I’ve gone through a few of the $50 burners and after a few brews they start covering the boil kettle with an extremely annoying and messy black soot that stains everything and is hard to clean. This burner is worth every penny. I’ve had it for two years now and it is still as good as new. No black soot!!!! If you need some heat for your HLT or Boil Kettle this is a fantastic option to purchase. I would recommend also purchasing the ignitor button option. I have 2 of these and they work great. One is ~15 years old and the other is about 1 year old. Great height, adjustable legs and the heat output is awesome. I had an issue with yellow sooty flame making my kettle filthy. I contacted morebeer and they sent me another stove. This one produces a nice clean blue flame. From 60-170 degrees in about 30 minutes, perfect timing! This burned gets the tap water up to 170 in about 30 minutes, perfect timing for steeping. The platform is very stable. I have used this burner for three cookings. 1. The bottom of my stainless steel kettle is black, from paint burning? 2. The black nut that screws onto the propane tank is cracked and pliable. This is a possible fire hazard, I will request a replacement. NO MORE BLACK SOOT MESS!!!!!!! I've been through 3 burners and all three had the same annoyances...incredibly messy and hard to clean black soot covered the bottom and sides of my brew kettle. Needless to say, this burner has solved that issue for me. This burner is incredibly well designed. I'm extremely grateful for finding this burner! No more pain in the @$& messes to clean!!!! This was addition to my brew gear. Heats up instantly and super easy to assemble. I was looking for a low cost burner to upgrade the one I had been using for 10+ years. This one has done the trick! And the leg extensions brought it up to a perfect level in my garage. I love this burner. It gets a boil going quickly, is a great height, and can handle windy days. I purchased the Camp Chef Ignitor which makes the burner easier and SAFER to ignite. I also added an extension propane hose to keep this guy even farther away from the tank. On full blast this burner sounds like a jet engine (brew dog runs for cover), but once the wort starts boiling I can turn it down to about 1/4 power while maintaining a very vigorous boil. The paint did peel off and powderize and burn a pattern into the bottom of my kettle the first time I used the burner. And more paint peels off with each use. I'm not sure why it needs to be painted in the first place. This does not affect the function of the burner whatsoever. I've brewed many batches of beer on this burner and it was just great for up to an 8 gallon pot. Quick heating and held temps nicely. I moved up to a 16 gallon pot and needed the extra surface area from a banjo burner. Great burner at a great price! This burner gets hot and stays hot -- burning evenly and consistently. Also, the leg extenders bring it up to the right level. Highly recommended. I previously had a turkey frier burner (about half the price). This is much quieter, and seems at least as powerful, while using less fuel. With this burner, the brew day is more pleasant, without a loud hissing noise. The valve has a reasonable range of power, but is very twitchy. 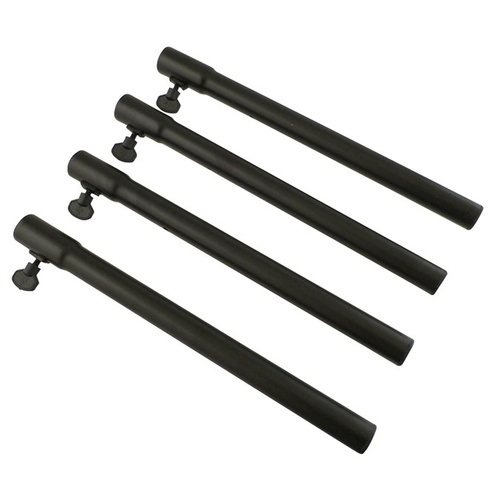 And although the legs are adjustable for uneven ground, due to the adjustment, they are less secure than I would like. Make sure you tighten the screws down hard, or it could settle later. This is a really good burner for the $. Faster boil than the stove top! Though this isn't the top level burner, it works and like I said above it is much better/quicker than trying to boil a five gallon batch on the stove top. I've used this burner 7 times to do full-boil, 5 gal batches, all on a single tank of propane (not including heating my strike/sparge h20, which I do on my stove). I even used it to boil 7 gal of wort outside in 36 degree weather with no problems! The heat shield is awesome, plus I like the fact that it sits high enough off the ground to gravity transfer my wort directly into my carboy without lifting. I would highly recommend this to anyone looking for an economical, yet sturdy, burner. This bad boy really puts out the heat! And I love the height and the adjustable legs for my slightly sloped patio. Just watch out for the flames shooting out from the bottom of the kettle; I could have caught my pants on fire, but instead just melted my immersion chiller hoses while sanitizing it! 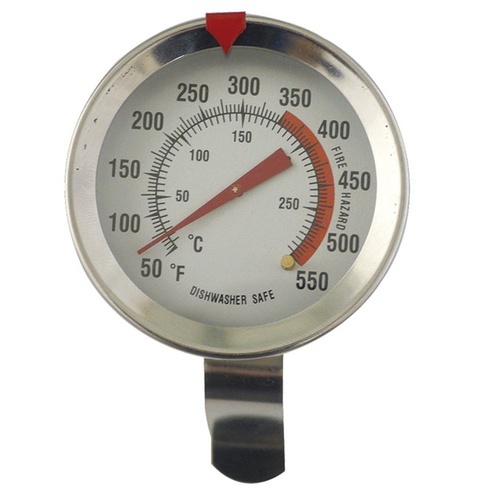 Flame adjustment is a little difficult at first, and the included thermometer is pretty useless. Nonetheless, compared to what I had before, I love it and give it five stars. Good burner, but why not two? This burner works fine and has no problem bringing 8 gallons of wort to a boil. But I ended up buying a two burner stove becuase it is way more convenient. Great heat, and the height is what I wanted so that I was able to drain my wort to carboy from the burner. Overall great value! The best investment I ever made! This was a great add to my brewing equipment. Even better i got it at a great price. The leg extensions are perfect height for hop additions and such. The flame control is awesome. The paint on it is still in great shape after about 10 brews and looks like it will last another 500 brews. Love this burner!!!!!!! Good burner at a great price. I ordered this as a gift for my father in law. I have a Blichmann but my friend has one of these and they both perform about the same. A good, solid economical burner. I will be ordering another for myself when I switch to all grain. This burner is a big step up from the bayou classic. I like the raised legs for being able to easily prime a pump and drain directly into the carboy after boiling. The control is also noticeably better than the bayou burner but not perfect. This burner is stable and reliable. Brings 10 gals of water to a boil rapidly. I'd give it 4.5 stars. A good improvement would be if it had finer adjustment ability. I bought this unit after using one that was meant for a turkey peanut oil unit. This one has been a champ for me for the last two years plus I can use it for other applications too such as camping and when the need arises for a BBQ. Great for getting 13 gallons to a boil quickly. Adjustable legs are a bonus. However, the paint burns off at the first use and after 10 uses it still smells like paint or something is burning. 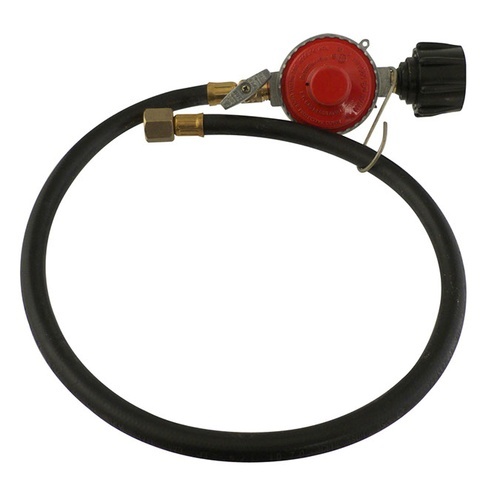 Terrific burner with a high heat output that can boil 10 gal batches quickly. The accessory lighting kit makes it easy to start and it's fairly efficient on propane as I can typically get almost 3 brew sessions off one 20 lb tank. I really like the legs that elevate it up to a good height for brewing and all in all - this is a great burner for $89. The only complaint I have is the paint is definitely not able to withstand the heat from the flame. Most if it around the top will burn off in the first session but each time I use it there are little pieces of black paint coming off - not a big deal but makes for more cleanup. I wish there was a stainless steel version. Using this with a 26 gallon kettle and it will easily get a solid rolling boil. Slightly touchy adjustment but easy to get accustomed to. I couldn't believe how fast my five gallons of wort came to a boil with this! It cranks out so much heat it actually roars when you turn it up full blast. The paint does peel around the top a bit as others have noted, but I didn't buy it to put on display. The adjustable legs are great for uneven surfaces and the height is perfect for transferring the wort into a carboy sitting on the ground. Great burner, especially for the money! I have had this burner for about a year and am totally satisfied with it. It does a nice even boil. So much better then the modified turkey fryer I was using. It does the job pretty well, but the paint immediately begins to flake off from the heat, but that is somewhat expected. It seems to flake a lot of metal(?) and I can't stop a small leak at the gas entrance. I've used this on the past 6 5gallon batches I have brewed, and it is a great addition to the brewing equipment. It heats up in no time at all and can be adjusted to keep a steady boil throughout the entire boil time. After 3 60minute and 1 90minute boils, I thought I would need to refill my propane tank. It only took 1.5 galons! That makes the fuel for brewing barely $1 per batch. Looking forward to seeing how it does with larger batches! I've been brewing on the kitchen stove using the front and back burners for many years. Saw this burner on deal of the day and snatched it up. Amazed at how fast it heats up water to a boil. So far, I've used it on 4 brew days and it has worked without a hitch. The only downside I've seen is after the first use a bunch of the paint peeled off the top of the burner but as I don't care about the aesthetics of the the thing I'm ok with it. This is not a little rinky-dink stove - this thing is built to last. You should burn off the powder coating though first before you really boil with this. The coasting does tend to burn white crinkle up and fly around and you don't want that in your wort. I also like the adjustable legs since my driveway is angled just a little. Used it last weekend on a five gallon batch, heated 7 gallons of wort in less than 15 minutes, just to see how fast it would! The real value is in the flow adjustment, in so much that you can keep a good solid boil for an hour by some small tweaks and not having to jack the output up all the way! This thing is so powerful and consistent that there is no need to overdo it. And then there's the price. $60 lower than the name brand and you get the same thing. You can buy a name or you can buy a burner, it's your choice. Bought this over a year ago when I made the jump to all-grain brewing and it's worked flawlessly since. In particular, I enjoy that it's *just* tall enough to drain into a plastic fermenting bucket, saving me the trouble of lifting (and possibly spilling) my wort. I have no doubts this one will last just as long.